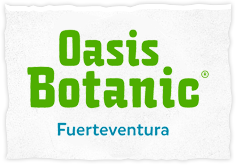 Conservation of threatened plants is one of the main missions from botanical gardens. Very rare and symbolic species such as the Wollemi pine, a true living fossil found on Australia a few years ago, are now growing in almost all botanical gardens in the world, but in general, they focus on conservation of threatened plants from their own geographical area. In this regard, apart from some other endangered species from the five continents, Fuerteventura’s Botanical Garden maintains twelve endemic species found only on the island of Fuerteventura, most endangered, as majorera cliff cabbage (Crambe sventenii ), the conservilla majorera (Salvia herbanica) and Nogales thistle (Onopordon nogalesii), helping future generations can as we do admire these interesting endemic. It counts with a permit from the Canary Islands Government to harvest and reproduce protected endemic species.